Group A racing regulations of that time allowed manufacturers to build an evolution model of a homologated car. The amount of evolution cars that had to be sold for public use was at least 10% of the overall model production which made 500. 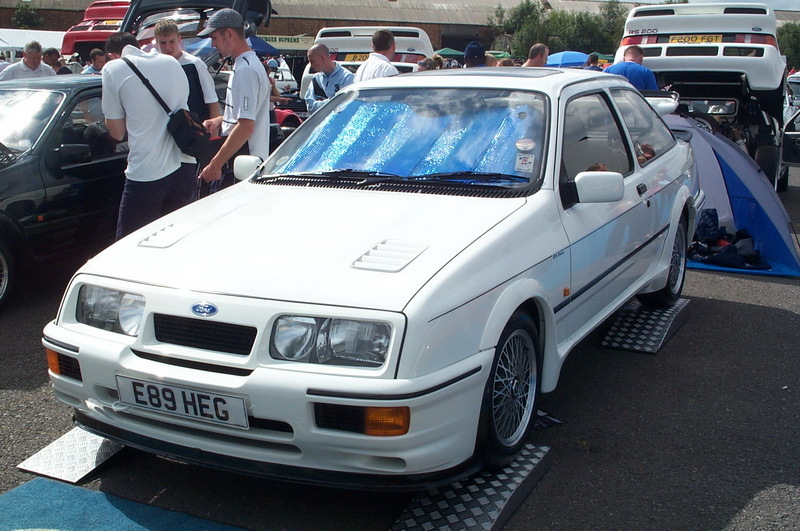 Because of this, Ford had already planned to put these 500 original Sierra Cosworths in storage when the RS Cosworth was in the planning stage. 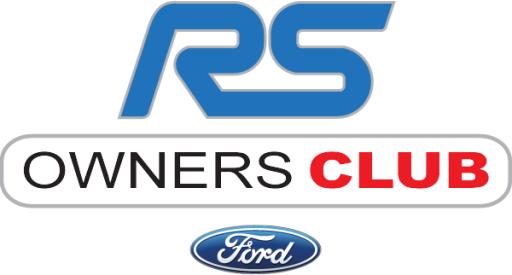 Produced by Tickford for Ford, the RS500 was to be entered into the Touring Car championship, the plan by Ford Motorsport was to go out and beat the Rover Vitesee that were dominating the series at the time. 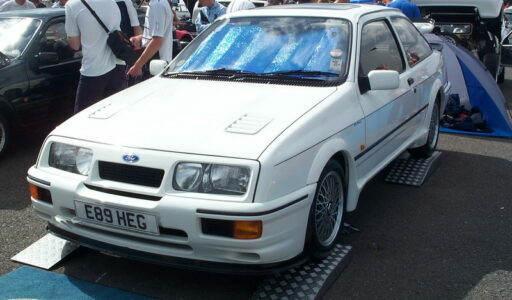 Modification were made to the standard spec RS Cosworth, that made the RS500 a nice road but would allow for a fabulous race car. The cd factor of the 500 made it a fraction slower than the standard RS Cosworth, this was due to the additional aerodynamic aids applied to the 500 (lower front bumper splitter, lower boot spoiler & gurney strip of the main rear spoiler) . All in all made the car much more stable at very high speeds (150mph +) need for the races. Engine : 1993cc 16v Twin OHC Ford Cosworth YBD, Stronger cylinder block. Second fuel injection rail (Extra 4 injectors were fitted, but weren’t functioning in road trim). 8 in total. Modified rear suspension mounting points with alternative pick-up points for trailing arms. Fog lamps removed & replace with brake cooling ducts, some owners opted to has fog lamps fitted. Revised Front bumper for better air flow into the engine bay. Finish : 392 Black, 56 in White including 4 Prototypes & 52 in Moonstone Blue.